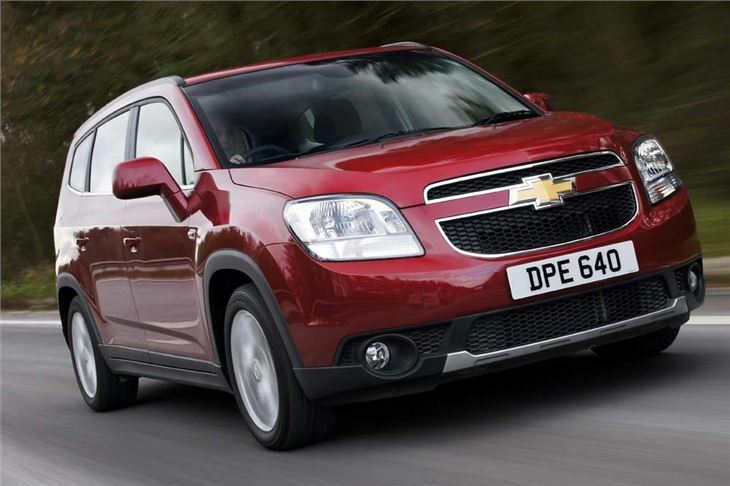 There are significant savings across the whole range of Chevrolets until 30 June 2012. 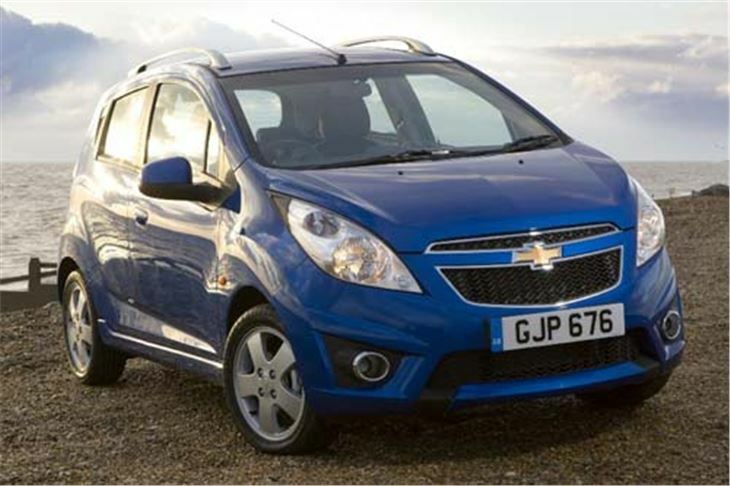 The entry level Chevrolet Spark 1.0 +is on offer until June 30 with £1,500 off the usual list price. That's a brand new car with electric front windows, a CD / Radio with MP3 capability and a USB port for just £6,975, or £114 per month with Chevrolet's personal contract hire offer. Voted best in class, in the supermini category by Euro NCAP, the 5-star rated 5-door Chevrolet Aveo also offers decent fuel economy. The 1.2 LS comes with air conditioning, front, side and curtain airbags and brake and hill start assist safety systems all as standard for only £9,495, or £159 per month with personal contract hire plan. The 4-door Chevrolet Cruze is also a successful World Touring Car Championship (WTCC) and British Touring Car Chanmpinship race car.Yet it doesn't compromise on practicality. With a radio/CD-player with AUX input for iPod or MP3 player, front electric windows and follow me home headlights as standard until 30 June you'll save an amazing £3,000 on the Cruze 1.6 LS at only £10,995. That's £178 per month with personal contract hire. The 7-seat Chevrolet Orlando 1.8 LS offers seating and storage solutions to cover every eventuality. Whether you're transporting the kids to the local sports centre complete with friends and all their kit, or taking the whole family away, the Orlando makes serious sense. With a huge saving of £2,330, the Orlando is on offer from only £14,495, or for a monthly payment of £236 on Chevrolet's personal contract hire plan. 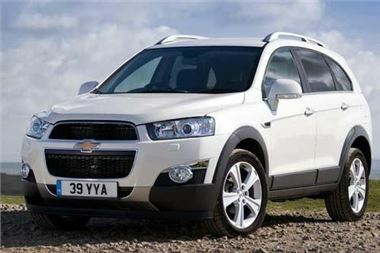 The Chevrolet Captiva 2.2 VCDi LT 7-seat model is down to £23,995, a huge saving of £4,290 off the recommended list price. Captiva comes with follow me home headlights, rain sensitive windscreen wipers, cruise control, a USB port and Bluetooth, to name but a few, as standard features. Motability customers can also enjoy great savings this season, with the Aveo 1.4 LTZ Auto and the Cruze 1.6 LT Hatchback manual or auto both available with nil advance payment. For those looking for more space for the family, the Orlando 1.8 LS can be yours with just £399 advance payment or the Captiva 2.2 VCDi LT with an advance payment of £2,999 both of which offer comfort, luxury and 7 seats. All these great offers are accompanied by Chevrolet's fantastic 5 years or 100,000 mile comprehensive warranty (whichever comes first, with a few exclusions), 6 year anti-perforation corrosion warranty with no mileage restriction and 1 years Chevrolet Roadside Assistance (provided by the AA), all at no extra cost to you. A 3-Year/30,000 mile Fixed Price Servicing package can also be taken out for just £349 on Spark, Aveo, Cruze and Orlando models or £449 for Captiva. Offer available to individuals for orders received between 2nd April 2012 and 1st July 2012. *Figures based on a non-maintenance personal contract hire package over 48 months and 6,000 miles per year (max) for Spark, Aveo, Cruze and Orlando. Spark 1.0 + featuring metallic paint at an extra cost of £375. An advance rental of £1,368 is payable, then 47 monthly rentals of £114. Rentals and excess charges are based on the current VAT rate. Aveo 1.2 LS featuring metallic paint at an extra cost of £375.An advance rental of £1,908 is payable, then 47 monthly rentals of £159. Rentals and excess charges are based on the current VAT rate. Cruze Hatchback 1.6 LS featuring metallic paint at an extra cost of £410. An advance rental of £2,136 is payable, then 47 monthly rentals of £178. Orlando 1.8 LS featuring metallic paint at an extra cost of £410. An advance rental of £2,832 is payable, then 47 monthly rentals of £236. Rentals and excess charges are based on the current VAT rate. An excess charge of up to 7.16ppm for Spark, Aveo, Cruze and Orlando will be applied for mileage in excess of 6,000 miles p.a. Excess charges also apply if the car is not serviced and maintained in accordance with manufacturer guidelines and returned to Chevrolet Leasing in a condition commensurate with the BVRLA Fair Wear & Tear guidelines for its age and mileage. Package includes R.F.L. and Chevrolet Assistance. Offer subject to availability and status. UK supplied vehicles only. For full specification, details, terms and conditions contact your local Dealer. Guarantee and/or indemnity may be required. Applicants must be 18 or over. Details correct at time of publication and may vary, e.g. if list price changes. Personal contract hire by ALD Automotive Ltd., trading as Chevrolet Leasing, Oakwood Park, Lodge Causeway, Fishponds, Bristol BS16 3JA. Warranty expires at 5 years or 100,000 miles, whichever occurs first. This offer includes Chevrolet's standard Customer Care Commitment of a 2 year unlimited mileage manufacturer's warranty, and third year manufacturer's warranty with a 60,000 mile limitation. Years 4 and 5 are an insurance-backed warranty up to a maximum of 100,000 miles. The warranty excludes wear and tear and serviceable items and the vehicle has to be serviced in accordance with the manufacturer's servicing schedule. 5 year warranty is available on retail registrations only.